This is one of the most frequently asked and crucial questions for the successful electroplater to be able to answer correctly. Identifying the metal, or metals that the object is made of will dictate how you prepare the surface for plating and which plating process you'll choose. Indeed, identifying it as aluminium or zinc may persuade you not to attempt to plate it in the first place, as these metals are very difficult to plate unless you have a large tank plating set-up. Below is a guide to a number of observations and tests you can carry out to help you identify some of the most common metals you may be required to plate. 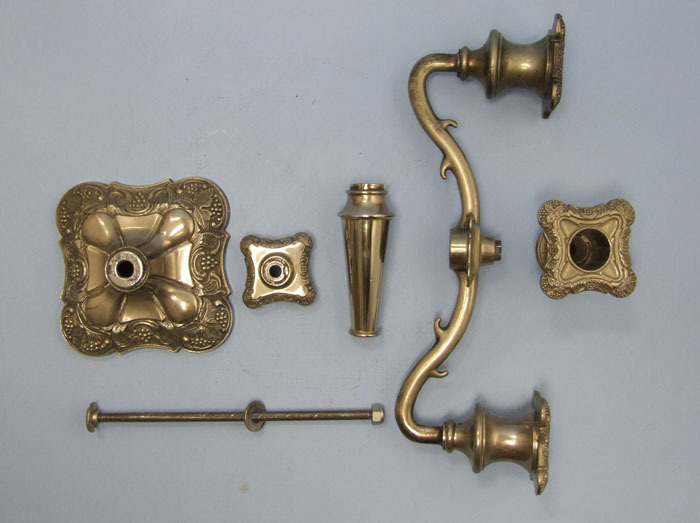 The antique candelabra we selected to test, is a typical example of a plating job you might be asked to take on. 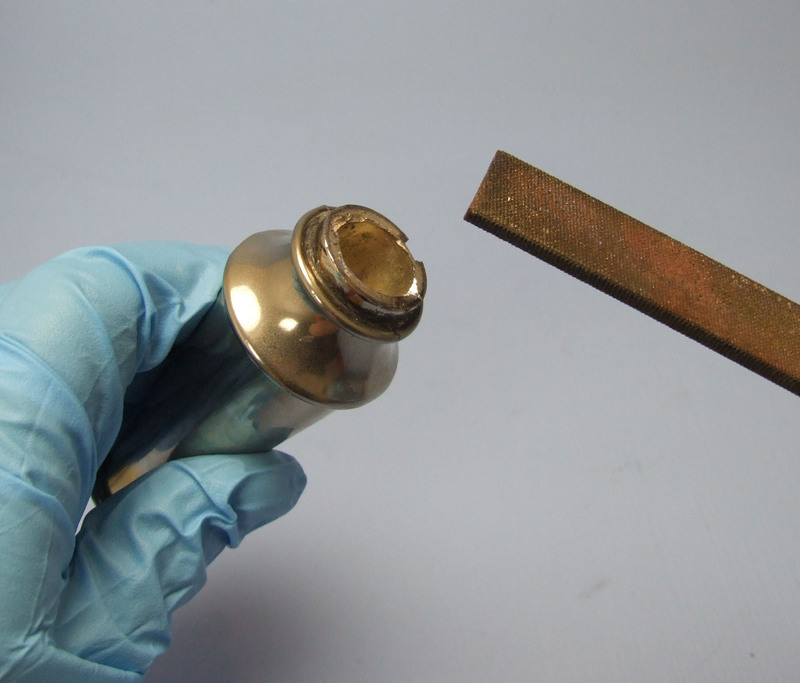 It provided a great opportunity to learn about a variety of metal recognition techniques as it turned out that it’s made of different metals. 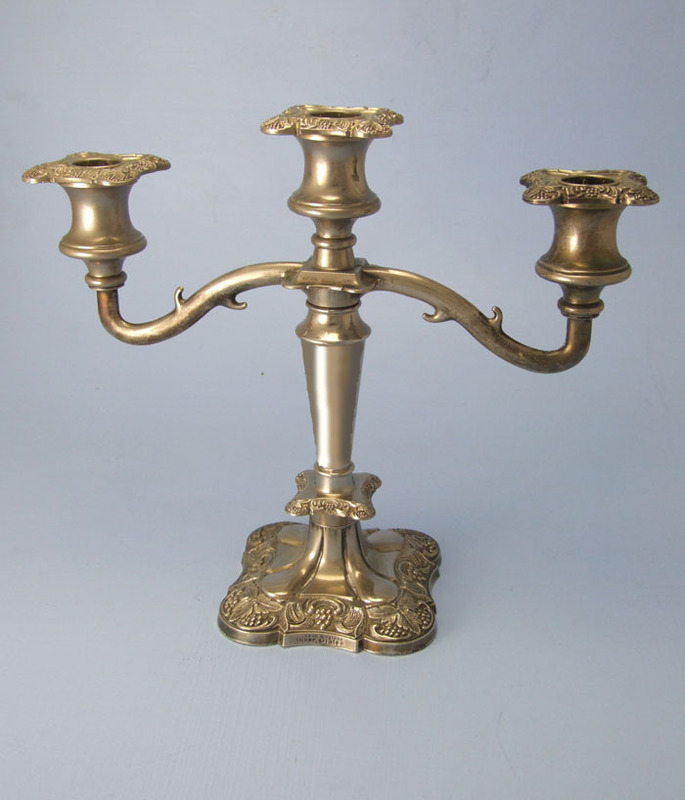 There are a number of clues which were uncovered that revealed the metals this candelabra is made from. First off, the candelabra could be be completely disassembled by unscrewing a nut and bolt that held all of its different parts together. This suggested it could have been made of different metals, as this approach to assembly would have been much more cost effective for the manufacturer; it’s much easier bolting copper to zinc for example, than trying to solder it together. The base and column felt a little heavier than the arms, although they were made of the same thickness of metal. They could therefore, be made of a denser metals, such as brass or copper. This made logical sense, as the base of the candelabra needs to be heavier, to allow it to stand safely. To prove your educated guesses, you can carefully scratch the surface of your work in an out-of-sight area. This was quite easy with the candelabra, as it could be scratched in one of the areas that would be hidden once it had been reassembled. The part of the candelabra chosen to scratch first was one of its arms. You can clearly see a ring of shiny pink around a silvery bluish patch of metal. This means the arm could be made of zinc, as zinc has to be copper plated before being nickel and then silver plated. The presence of copper ruled out pewter or other high-tin alloys as these don’t need a layer of copper plate before a layer of silver. To confirm the arm was made of zinc, a further test was carried out. 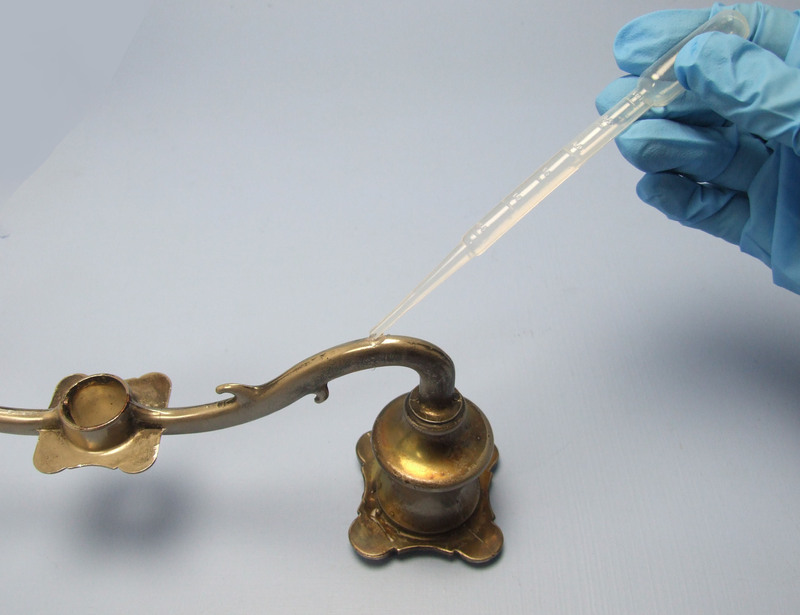 A drop of spirit of salts was carefully applied to the scratch test on the arm of the candelabra with a pipette. The appearance of small bubbles showed that the arm was indeed made of zinc. 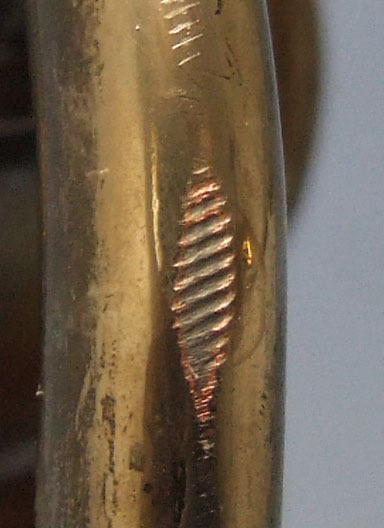 The second scratch test, carried out on the column of the candelabra, showed a silver grey, soft metal with no sign of copper plate, which meant that it wasn’t zinc. The fact that it was a thick gauge casting and quite heavy ruled out EPNS. This left the most likely metal to be pewter as it was obviously cast and quite heavy. So, although this candelabra looked like it was made out of the same metal, it turned out to be made of copper, pewter and zinc. This knowledge would enable you to choose the right plating process for the right metal and ensure a successful plating outcome.